The world wine market is moving fast and has become competitive to an extreme. Running a winery in today’s business environment has become a complex job: creating great wines is only your starting point. As wine is a social product, to stand out of the crowd your winery has to engage with customers. Millennials make buying decisions based on recommendations and for them impressions matter most. It is imperative that your sales and marketing activities are adjusted to the new digital era. To create your winery’s custom digital wine marketing and sales strategy we help you understand your current state and improvement potentials. Do you know how your digital wine marketing compares? Do you understand your improvement potentials? 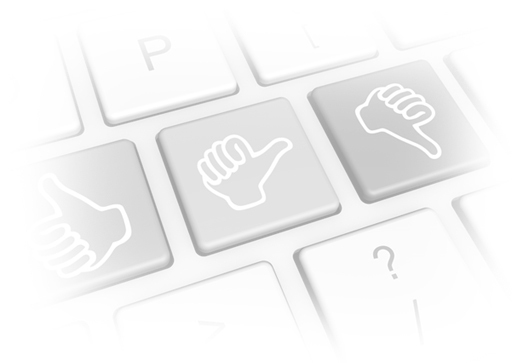 Do you need actionable recommendations? The Digital Marketing Benchmark Report provides you with a comprehensive view that explains your winery’s maturity level in the most critical digital marketing areas. It reflects how you compare against your peers in the wine industry and it serves as your starting point for developing an improvement strategy. Objective metrics defined for each analysis area to give you a feel for how far you are from the top. The Improvement Guide takes the Benchmark Report findings and provides actionable recommendations custom to your situation. These are concrete enough so that you can start addressing them one by one. If you prefer, we are happy to engage in a design exercise to create your custom project and investment plan. Categorizing suggested changes to a ‘Complexity | Value’ matrix, i.e., identification of Low-hanging fruits, Quick wins and Long-term changes. Wondering why you need Digital Wine Marketing? Read our blog post about what drives changes in the wine business. You can only improve if you understand what you have and what you miss. Get familiar with the facts – benchmark the maturity of your digital sales and marketing practices. Although transformation is a stepwise process, your first, small changes can still be impactful. Don’t wait for the entire plan – get started immediately with easy-to-implement, practical changes of your digital footprint. The gap between current and targeted digital marketing capabilities defines implementation costs. Get an estimate before you get on-board with your digital journey! Using the as-is report the next step is to create an improvement plan. Each winery is different. Your digital marketing maturity is one key aspect that influences the agenda. Where to start changes depends, however, on other vital factors. There is no one single recipe. Your sales strategy, your team’s social media skills and their ability to change all play a role in defining the right sequence of changes. Whether to turn your event promotion practices around, build a content management framework or adjust your social footprint first depends on your winery’s specific circumstances. That is why the proper definition of the improvement steps and targeted process model are key. Do you have a digital wine marketing strategy in place? Do you know how to change your ways of working to boost sales? Do you need an executable plan to improve your digital practices? Our design services deliver an executable migration plan, customized to your winery. This is your cookbook for reaching your digital marketing objectives. It includes an investment plan that is aligned with the prioritized list digital marketing capabilities your wineries should develop. The roll-out plan includes project milestones and a recommended timeline. Prioritized capability improvement roadmap with milestones, project schedule and resource needs. Know how you improve over time. Understanding capability improvement costs and their schedule. Going digital requires will entail changes in your current way of working. Dee-Wine’s design services look at your current working practices and provide a definition of changes needed in your sales and marketing processes. We specify what digital marketing information systems you should use and suggest how these should be integrated into your IT architecture. Investigation of your current ways of working – roles, tasks, activities, interaction. Understanding how your current IT supports collection, storage, management and use of customer data across your sales and marketing activities. Definition of new sales and marketing processes, roles and responsibilities based on use of new digital technology. High-level specification of how new digital marketing information systems shall integrate into your existing IT architecture. Request a quote to see how we can help you design your digital strategy! Taking ad-hoc steps often delivers controversial results or none at all. The key to success is the alignment of individual actions so that together the sales conversion process works as expected. Build on Dee-Wine’s wine business, social media, IT and process experience and avoid the pitfalls of digital wine marketing. No single recipe works for all wineries. Your target customers and their social behavior, your distribution model, sales and marketing competences are only a few examples that define where to start your transformation. Dee-Wine’s systematic planning framework coupled with its expertise gets you on the ideal track. Doing it all on your own is no option. Outsourcing the complete project is not one either. Get your personalized Dee-Wine transformation plan to easily split the work to actions your keep for yourself and tasks you assign to partners. Wineries have limited time to spend on digital marketing planning and roll-out. Yet, no plan has any worth without putting that into action. This is a challenge many contemporary winemakers face. We understand sales and marketing processes, social media and customer lifecycle specific to the wine business. Our delivery model links in contributors who are experts in their respective domains. We deliver turnkey projects or just selected components – the decision is yours. You do not have to start big: take the first, small step as your bandwidth allows. But take it! Do you struggle to find time for digital wine marketing? Do you find Information Technology complex and difficult? Do you need help to manage your digital transformation? According to Fortune magazine, 9 out of 10 organizations fail to implement their strategic plan. We help you avoid that to happen. Going digital is a multi-faceted change that impacts your team setup, employee responsibility, business processes and IT systems. Through our wine business and program management experience we turn your digital marketing project plan into actions and help get those done. Supervising all aspects of your digital marketing strategy implementation – working across your organization, IT vendors and marketing agencies. We make sure things happen according to plan and budget. Managing 3rd party vendors you work with to implement your digital marketing architecture and processes. IT companies need skilled guidance to ensure your designed processes will work properly across IT platforms. Preparing your team for the different ways of working, ensuring business continuity, driving and tracking adoption. We ensure that changes happen and they last. We know the digital marketing tools we recommend. Many of them we use on a daily basis, while others we maintain for our customers. The key is the orchestrated interaction of these assets. From your Facebook campaign creating leads, through automated follow-up via marketing automation to conversion through e-commerce you need the business logic and correct tool setup. Configuring your social profiles to create a consistent brand appearance on all channels. Whether it is Facebook, Twitter, LinkedIn, Instagram or Snapchat, we help. Provided as a Dee-Wine service. Configuring the best-in-class CRM that more than 150,000 customers trust. Cleaning your account, contact and order data in order that you can run focused digital campaigns. Provided as a Dee-Wine service. Setting up your marketing automation engine to boost your e-mail campaigns. Building advanced business logic for automated follow-ups. Provided as a Dee-Wine service. Getting your mobile and conversion optimized e-commerce and internet presence up and running. Working on your behalf as experienced project managers to ensure that all deployed components will work seamlessly across your digital assets. Building your digital marketing metrics system through Google Analytics and similar tools. Provided as a Dee-Wine service. Connecting all digital components into a working ecosystem. Components include CRM, Marketing Automation, Website, E-Commerce platform, Event Application, Analytics, and Social Media Platforms. Provided as a Dee-Wine service. Finding the right skills for executing your plan is difficult and time-consuming. Build on Dee-Wine with its extensive contact network to identify the right experts for the tasks in your transformation plan. Getting individual actions completed may be complicated enough. Running changes in several domains simultaneously may easily get out of hand. Use Dee-Wine’s program management expertise to secure a harmonized delivery of all key transformation tasks. Connecting wine, marketing and IT people, although a must, is utterly difficult. Supervising partner deliverables while players speak a different language often becomes a daunting job. Use our multi-lingual capability to manage your digital delivery partners: we speak wine, marketing, process and IT! Time is a rare asset that is difficult to balance right. Technology frees up bandwidth that we can spend elsewhere. Going digital will engage you with new wine enthusiast but this will create other challenges. You will have to organize your digital campaigns, run your events and analyze customer behavior. The results will trigger required changes to your digital footprint, promotion strategy and event focus. Your sales and marketing teams will need coaching on how to adjust their approach. 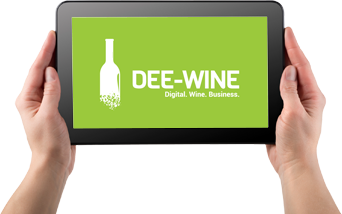 Digital wine marketing is a lifestyle, not a diet – let Dee-Wine help you with your daily operation! Does your staff miss important digital marketing skills? Do you need help with campaigns & content? Do you wish to get the most out of your investments into digital? Digital campaigns help to you boost your direct sales and customer engagement. For these to be successful, a proper definition of objectives, target audience, channels, timing and budget is required. 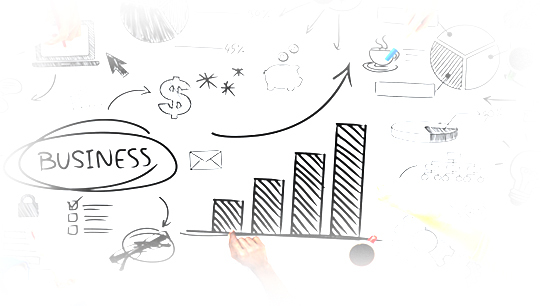 Our experienced team supports you in planning and executing your digital marketing campaigns. 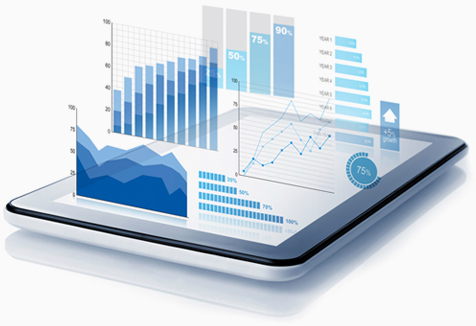 Our analytics services help tune your campaigns for maximum impact. 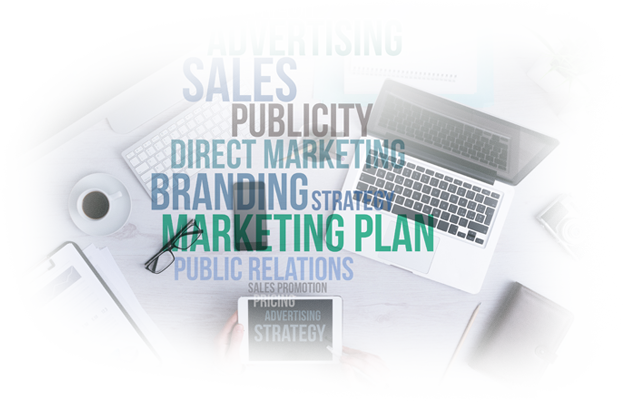 Defining your campaign goals – translating these into campaign definitions for each digital marketing channel in use. Configuring your digital marketing campaigns across multiple platforms (Facebook, Twitter, Campaign Monitor) incl. definition and selection of audiences, ad-sets, ads and budgets. Monitoring performance of your campaigns for continuous adjustments to reach outstanding results. For most wineries going digital is a major effort. Concepts and technologies evolve every day – staying current is not easy. Our team is specialized in digital marketing and we monitor trends closely. Follow our Digital Marketing Resources blog to stay abreast of the latest an greatest in this space. We also provide custom trainings to your staff online or on-site. Training your staff with the basics of digital marketing. Content tailored to your team’s skill-level. Recommended for beginners in digital marketing. Educating your team with local presence. Content tailored to themes most relevant for improvement of already existing skills. Recommended for advanced digital marketing users. E-mail marketing remains to be one the most cost-effective digital campaign tools – when used right. Turn your leads into customers and customers into loyal fans. We set up your personalized e-mail campaigns and automated customer journeys. Our recommended tools drive real business for your winery. For best results we combine e-mail marketing with other campaign tools. Defining your e-mail marketing campaign and specifying the associated customer journey. Getting your e-mail campaign of choice configured, launched, analyzed and managed. Configuring, segmenting and cleansing your subscriber list according to recipient behavior and campaign feedback. Engagement with the new generation of customers happens via content. Content can either be generated or found and curated. For wineries the daily activities make it difficult to find and create great content that generates customer engagement. Let our team of experts help you with content ideas that you can utilize in your social media and e-mail marketing. Creating a regular list of content ideas recommended for sharing via your digital marketing channels of choice. Generating easily shareable, engaging, unique content. Curating content from others and making it available for your distribution. Sharing generated and curated content across digital marketing channels on your behalf. Getting those newsletters configured right or creating that Facebook promotion may be daunting. You may want to spend your time on areas where your expertise lies. Let Dee-Wine offload you so that you can focus on your core! Digital marketing technologies develop at a fascinating speed. Whether it is about connecting your social media campaign with your e-mail automation or creating social contents across your Facebook followers, we know how to combine the components for impressive results. Work with Dee-Wine to get ideas on how you can make more out of your existing digital footprint! Having your digital wine marketing foundations built is your basis: once in place, your campaigns can get started. Some will convert well, others not – analytics helps you understand the why’s and the how’s. Use Dee-Wine’s operation services to learn what campaigns work best for you and how you can improve conversions. Find it out in 5 minutes by using our self-assessment tool. It is free.